i got these cat eye sunnies a couple weeks ago and something about them just inspired me to put on some red lipstick. i've been wearing fuschia pink during the summer so it took me a bit to get used to the dark bold color. i still need to try oxblood/burgundy, but not sure if i'll be able to pull it off. have you tried the new fall lips trend? if you did...i would love to get some recommendation. well...i hope everyone had a lovely weekend! what size feet do you have? i'm stealing these from you. LOL. OMG! so obsessed with your shoes! love love love. you look gorg and stunning always! xO! so mod chic! 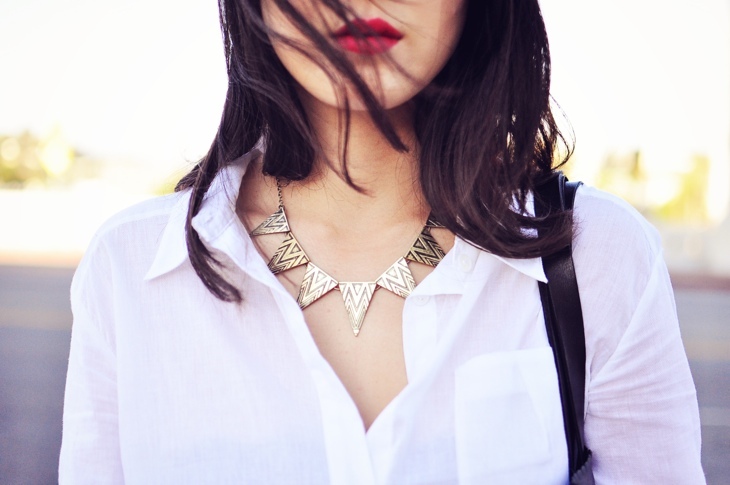 loving the sunnies and red lips! Nice sunglasses! The shape is so cute on you! Really great look. I love your necklace. Love this simple black and white look, the shoes are so pretty! LOVE the first photo!~ Pinned in my Pretty and Cute Board! 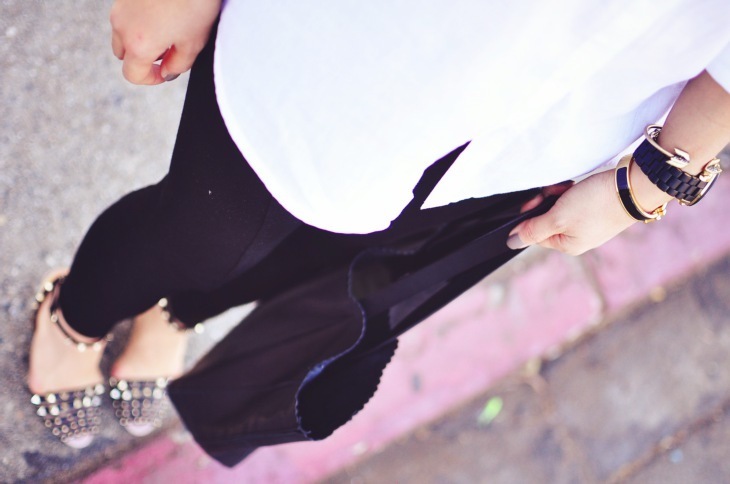 Those Valentino wedges are the perfect touch to this look! I love your blog!! ooooooooooooo love the bold red. you should def keep rocking that red- looks very flattering on you. its so festive for autumn and xmas you know :) i wish my face shape matched cat eye sunglasses but unfortunately i have to keep wearing aviators. cat eyes just look to weirded out on me. i love the simplicity of your outfit as always! hope you had fun watching bigbang!! woot woot! !